Get legal, Get Trailer Training! At A Pass 4 U trailer training we specialise in driver training and testing for cars towing smaller trailers and caravans. 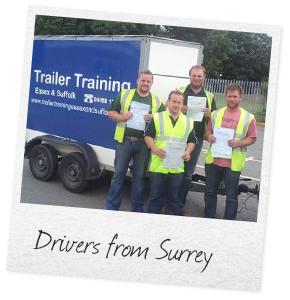 We provide trailer training courses in Essex, Kent, London, Suffolk & Hertfordshire. 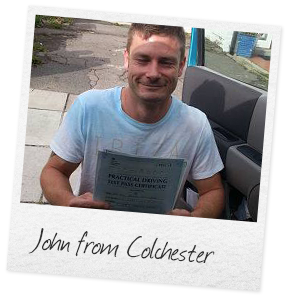 Our trainers are all fully qualified driving instructors and are registered with the DVSA (Government), this means that they are all CRB checked and have their standards of teaching checked periodically, so you can rest assured you will be receiving the very best trailer training available. 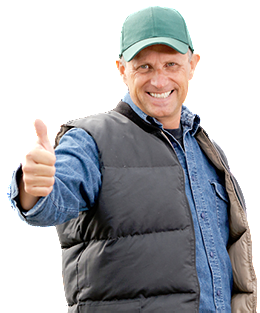 Get an initial FREE 1 hour assessment with ATrailerPass4U! If you have never towed a trailer before and are unsure of which course to choose, then our 1 hour trailer training assessment is the right choice for you! Contact us now to find out more! As part of your trailer training test you will use our 4x4 vehicle and IFOR Williams trailer which have been set up to meet all the rules for DVSA testing. If after taking your car and trailer (B+E) test you want to hone your towing skills even further you could take one of our Advanced Training Courses and if you want take a RoSPA or IAM trailer test after. You will have received the B+E towing rights automatically and be able to tow a vehicle combination of up to 8250kg MAM. 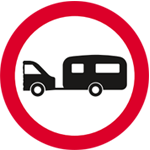 You can tow small trailers weighing no more than 750kg and/or a trailer over 750kg as long as the combined weight of the trailer and towing car or van is no more than 3,500kg (3.5 tonnes) maximum authorised mass (MAM). Our trainers and driving instructors are career instructors and hold many accolades including, RoSPA Gold, IAM, DVSA Fleet Instructor, Diamond Advanced and First Aid level 2 qualification. Due to the expertise and the fact that we enjoy teaching people we have a very high pass rate with our DVSA testing and Advanced testing. All of this and we have some of the best prices around. Our offices are based in Essex, but we also provide trailer training to many of the surrounding areas, including Kent, London and Suffolk. All our instructors are DVSA registered and CRB checked. Trailer training provided in a stress free environment. Very high pass rate combined with low prices. A family run driver training school. Don’t be one of the people you see on the side of the road with a Police Officer impounding their vehicles! Get trained and get legal! 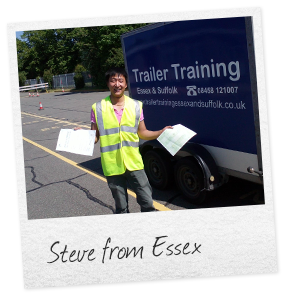 CALL US NOW ON 01375 463497 for more information about trailer training in Essex, Kent, London, Suffolk or Herfordshire, or to book a trailer training course. Check out our course feesFREE 1 HOUR ASSESSMENT!